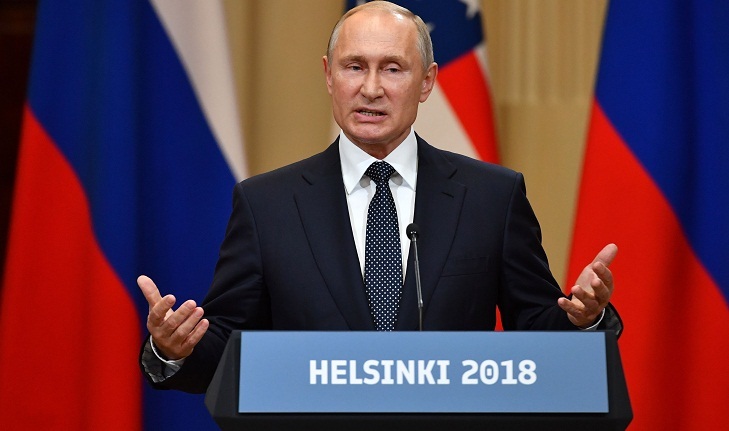 Russian President Vladimir Putin on Monday said his summit meeting with US leader Donald Trump was "very successful", following several hours of talks in Helsinki. The leaders touched on issues including tensions on the Korean peninsula and the situation in Syria during their first summit, Putin said at a joint press conference. "I consider them (the talks) very successful and useful," Putin said, praising the "frank and business-like atmosphere" of the summit. He said Trump had raised accusations of Russian interference in US elections. "I had to repeat what I have already said many times before -- the Russian state has never interfered and is not planning to interfere in the USA's internal affairs," Putin said. "It is obvious to everyone that bilateral ties are going through a difficult period. However there are no objective reasons for these difficulties, the current tense atmosphere," he said. Putin also praised cooperation between Russian and US security services, adding that he favoured continued cooperation in "the fight against terror and ensuring cyber security". The Russian Foreign Minister Sergei Lavrov said separately that the talks were "better than super" in comments reported by Russian news agencies.